The top three winners of the 2018 Student Design Contest were awarded scholarships presented by SAIG Co-Chairs Suzanne Beck and Clelia Parisi. The first prize winner is Bianca Jeffs for her "Street Level" design; her winnings include a cash award of $5,000 and an all-expenses paid trip to July's Mode City Paris Show courtesy of Eurovet/Curvexpo. Second price winner, Alicia French won for "Glamour Et Minuit" and received a cash award of $4,000. Third prize went to Norissa White-Isaacs for "Blooming Lillies" with a cash award of $3,000. Finalists (each received $1,000 cash award): Alana Fox, Nicolette Leslie, Eunsaem Nam. Design contest sponsors: Clover Group International Ltd., Regina Miracle International Ltd. and Stretchline Holdings Ltd. Here is one of the many photos from the apparel industry event. 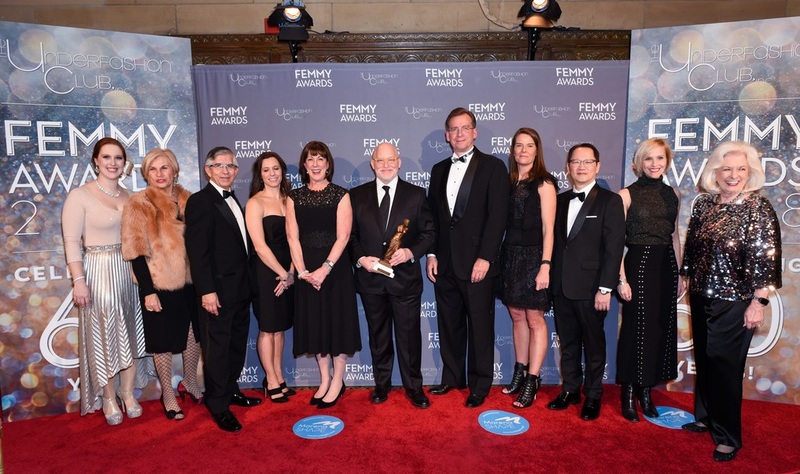 NEW YORK, NY - February 6, 2018 Amy Bittner; Karen Bromley; Victor H. Vega; Heather Fryxell; Debby Gedney; Donald R. Allen; Jr.; Bob Kirkwood; Marybeth Moser; Tommy Fung and Ann Deal attend 2018 Femmy Awards hosted by Dita Von Teese on February 6, 2018 in New York City. Photo Credit - Patrick McMullan via Getty Image. Thank you for taking the time to learn more about the apparel industry here on Apparel Search. If you missed attending this years event, don't make the same mistake next year. 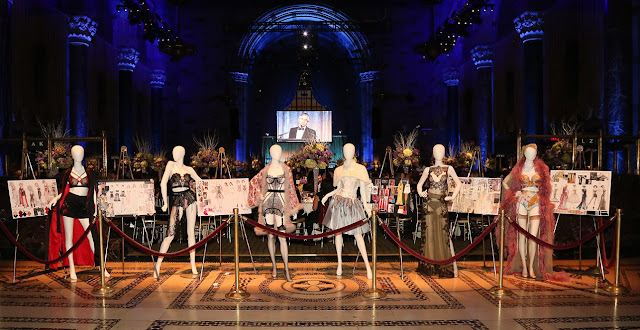 If you work in the fashion industry you should learn more about The Underfashion Club and the FEMMY Awards.